If you own a Tornado Foosball table long enough, eventually you’re going to crack or break one of your Foosball men. Luckily it isn’t that hard to replace the men, provided you have the right tools to do it. Without this tool, it will be much harder. With this tool, you can punch out the old roll pin from the man. When you do this, you have to make sure that you brace the rod under the man with a piece of wood so you don’t bend the rod when you’re doing it. With the wood in place and the tool inserted in the pin, you can then gently hammer out the roll pin. Now is where you’re going to come to the realization that in order to replace one man, you have to remove all the men on the rod. This is especially painful on the center rods that have 5 men to remove. One thing also to note is that the foot on some of the newer players is slightly different than the older players. I believe that when they came out with the new Tornado Classic, Sport, Elite, and T-3000 line they redesigned the foot slightly for better play. If you’re replacing this man on a table that doesn’t have counter-balanced men, it might be a good idea to look into doing this since you have to remove all the men on that rod anyways. Plus it’s not a very expensive upgrade. Once you have all the men removed and all the new men slid on, it’s time to reinstall them with roll pins. To do this, you’ll need the same wood block underneath the rod as before, along with the roll pin punch and a hammer. Get the man aligned with the hole in the rod and hit the pin into the man gently until it is flush with the front. Repeat this with all the other men. 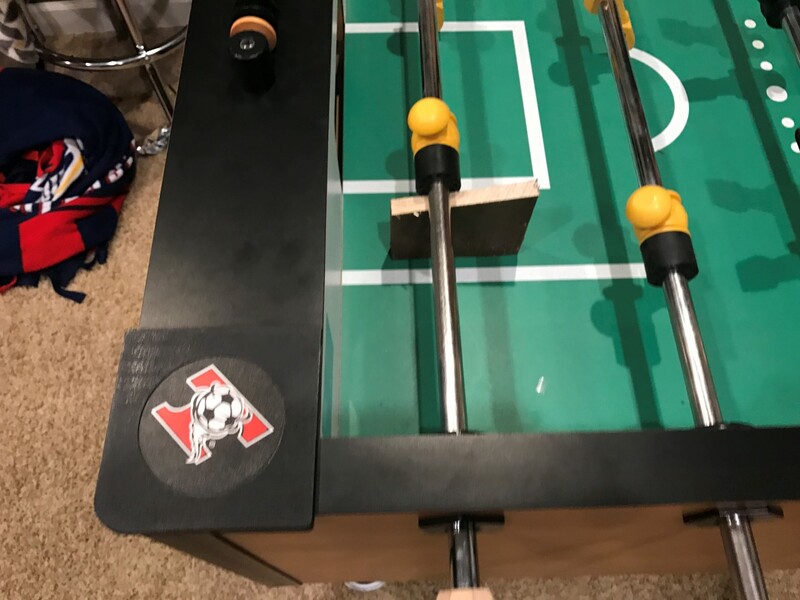 If you have other questions about Tornado Foosball Tables, I would recommend checking out my Tornado Foosball Table Guide on my site.